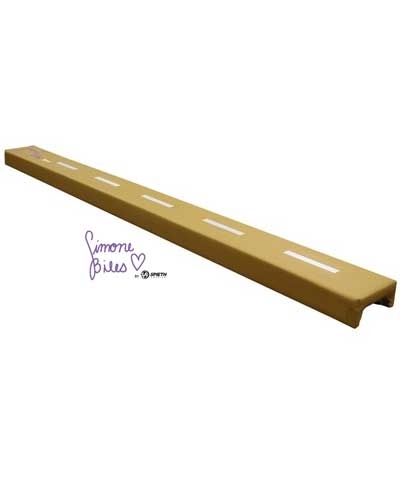 The Simone Biles Signature Beam Surface Expander will make any 4" wide competition beam an 8" wide Hotdog beam. The Expander is padded and covered in non-slip Camel Colored Performance basketball type textured fabric and is easily washable. The white screened on dashed line helps the gymnast focus on staying centered. The Expanders easily attach to the beam with velcro straps. 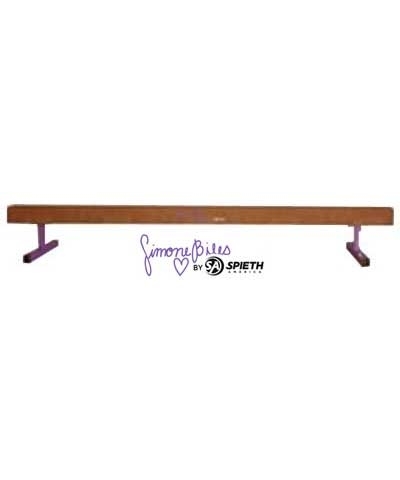 Two Expanders will completely cover a competition beam and one expander can be used on the floor for young gymnasts. 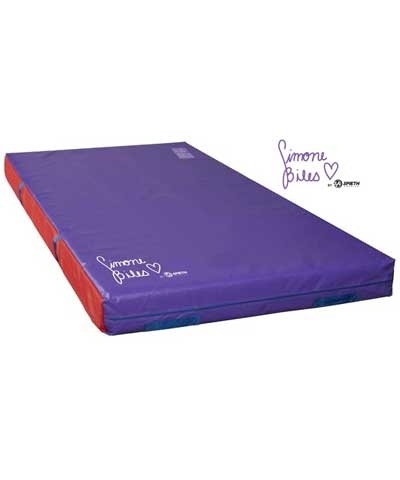 Features Simone Biles Heart Logo.